In this exciting animated adventure, a prehistoric family go on an epic journey with the help of a brave teen after their cave is destroyed during an environmental catastrophe. Three young children magically travel to Never Never Land to seek adventure with the boy who never grew up in this animated Disney classic, an adaptation of J.M. Barries timeless fantasy. 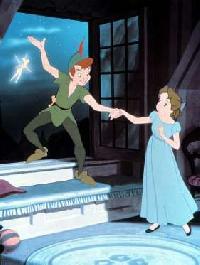 Voices include Bobby Driscoll, Kathryn Beaumont and Hans Conried. From master animator Hayao Miyazaki ("Princess Mononoke") comes this dazzling, Oscar-winning fantasy. The story centers on a 10-year-old girl who must overcome her fears after she is separated from her parents and is whisked off to an enchanted world, which humans are forbidden to enter. Voices include Rumi Hiiragi, Miyu Irino and Mari Natsuki. Disneys Oscar-nominated childrens musical about the romance between a belle (voice of Paige OHara) and a prince (Robby Benson) whos been transformed by a spell. The score and title song won Oscars. Gaston: Richard White. Lumiere: Jerry Orbach. Mrs. Potts: Angela Lansbury. Cogsworth/Narrator: David Ogden Stiers. Chip: Bradley Michael Pierce. LeFou: Jesse Corti. Directed by Gary Trousdale and Kirk Wise. This computer-animated film is about a race car Lightning McQueen, who discovers the true meaning of life and friendship during a detour to Radiator Springs, an old, forgotten town.? ",38.jpg,Incredible Animated Movies 3509,KUNG FU PANDA (2008),Jack Black voices Po, a portly panda who dreams of escaping the family noodle shop for a life of protecting the downtrodden with his paws of fury. 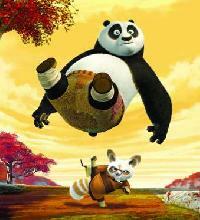 Pos chance comes when Master Oogway declares him the Dragon Warrior, destined to defeat the evil Tai Lung. Now he just has to learn to fight before Tai Lung arrives. Other voices include Jackie Chan, Dustin Hoffman and Ian McShane. Disneys first feature-length cartoon, based on the Grimm tale about a princess, her diminutive friends and a poisoned apple. Voices... 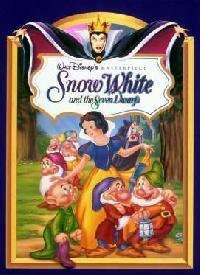 Snow White: Adriana Caselotti. Prince Charming: Harry Stockwell. The Queen: Lucille LaVerne. Bashful: Scotty Mattraw. Doc: Roy Atwell. Grumpy: Pinto Colvig. Happy: Otis Harlan. Sneezy: Billy Gilbert. Directed by David Hand. 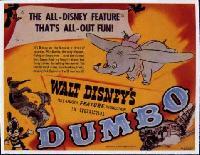 An Oscar score elevates this Disney classic about a pint-size pachyderm with big ears but little self-confidence. Songs include "When I See an Elephant Fly," "Baby Mine," "Casey Junior." Voices include Sterling Holloway, Ed Brophy, Herman Bing and Cliff Edwards. Disney classic about the adventures of the wooden puppet and his friends Jiminy Cricket and Geppetto the woodcarver. Voices... Pinocchio: Dickie Jones. Geppetto: Christian Rub. Jiminy Cricket: Cliff Edwards. Blue Fairy: Evelyn Venable. Foulfellow: Walter Catlett. Based on Carlo Collodis story. After years in a federal relocation program, a former crimefighting superhero and his superpower family unretire and rejoin the fight against evildoers. 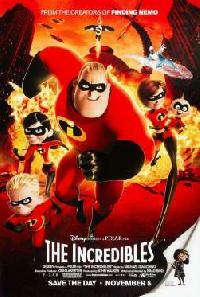 The wildly imaginative and fun-filled joyride was written and directed by Brad Bird. The voice talent includes Craig T. Nelson, Holly Hunter and Samuel L. Jackson. Bird also provides the voice of fashion maven Edna "E" Mode, who is patterned after famed Hollywood costume designer Edith Head. In this computer-animated delight, Billy Crystal and John Goodman provide the voices of Mike and Sulley, the "top scarers" at an energy factory in Monstropolis, a city powered by the screams of children terrified by creatures who lurk in their closets. Other voices include Steve Buscemi and Jennifer Tilly.